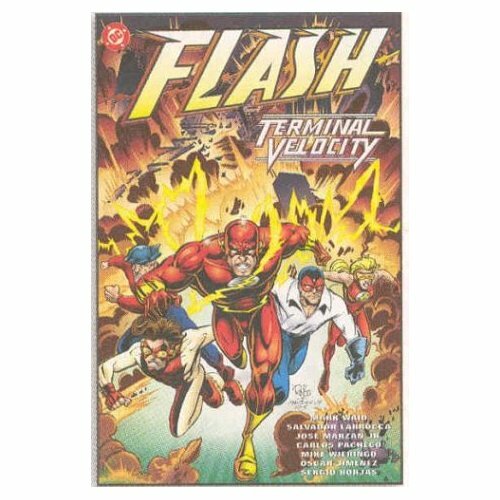 Wally West (seen previously in Teen Titans: Year One) is a speedster. Dressed in scarlet and gold he is the second man to take the title of the Flash. This book opens with his return from a previous adventure where he became stranded in time. On his way back to the present day he sees a terrible vision of the future and, with the aid of all other speedsters, Wally decides to do all he can to prevent his vision occurring. In short, two Supergirls collide, potentially causing the end of all existence. In long, it's a bit more complicated. 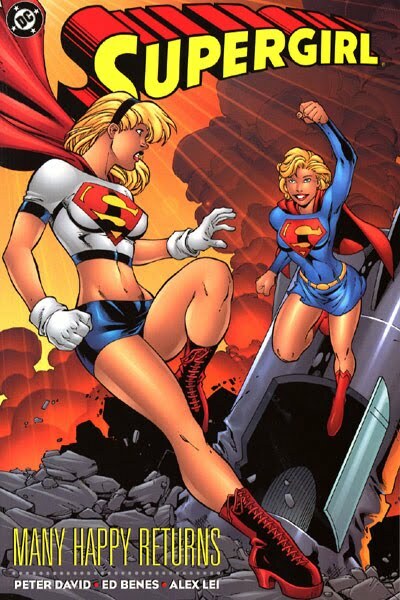 We have one Supergirl, Linda Danvers (in the white top). She is not Kryptonian, or Superman's cousin or anything like that. She does have invulnerability, super strength, the ability to fly and a form of psychic telekinesis. Linda is brash, has a dirty mind, is straight talking and cynical. She got her powers through some sort of miracle and earned the right to wear the Superman colours. Peanuts was a four-panel American newspaper comic strip that ran from 1950 to 2000. It starred a large cast of children as they enjoyed both the innocence and cruelties of childhood. Central to the cast were luckless, wishy-washy Charlie Brown, fussy Lucy, naïve Linus, Beethoven obsessed Schroeder and Charlie Brown’s frankly bizarre dog Snoopy alongside an eclectic supporting cast of other boys and girls. In the world of Peanuts, adults were conspicuous by their absence. 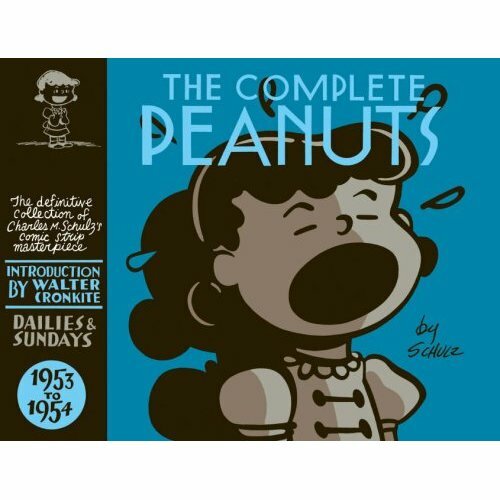 One of the longest running and most widely read “funny strips” in the world, the complete canon is currently being collected in a mammoth twenty-five book hardcover series by Fantagraphics, each volume containing two years worth of the daily strips. 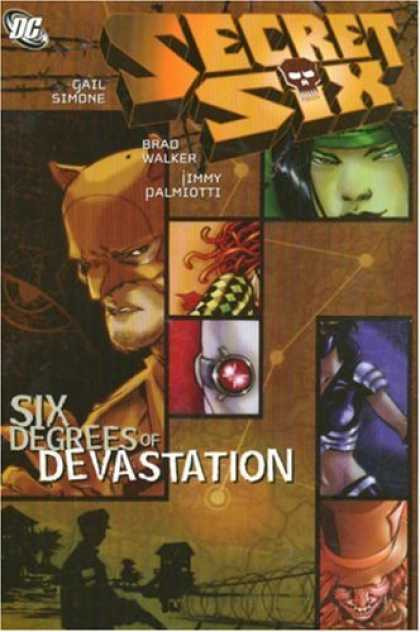 "Take half a dirty dozen...and you get the Secret Six"
Six villains in the DC Universe have ostracised themselves from the greater community. In so doing, they've made rather a lot of powerful enemies. Does this bother them? Not in the slightest. They know their skills, they know they can fight and they won't go down easily. The book starts with the team carrying out a hit contract which takes them to the concentration camps of North Korea (in all their twisted nature), but soon changes to become a violent mystery story as each member of the team finds themselves attacked and then strive to discover who is behind it all. Betrayal, passion and fights ensue.